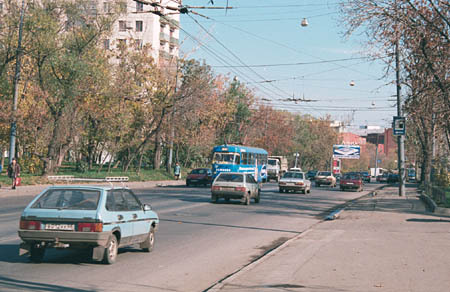 A view of Schmidtovskiy Proezd towards the city centre from a crossroad with Strelbishchenskiy Pereulok. 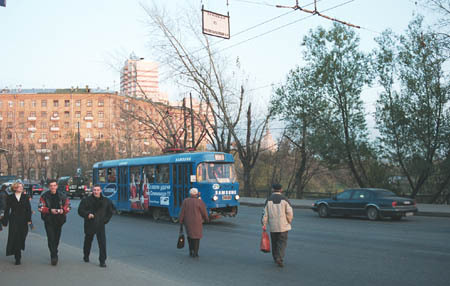 Krasnogvardeiskiy Boulevard stop. There is a rather large pond beyond trees to the right. A road incident. 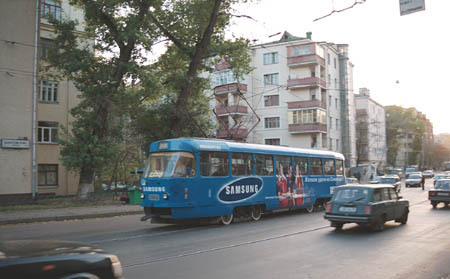 Two automobiles could not share the road. 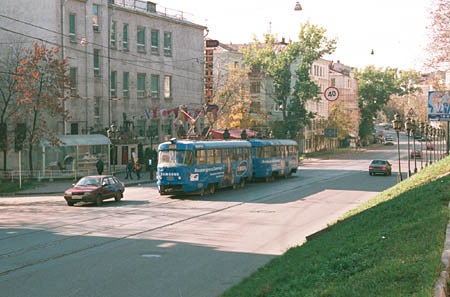 Drivers are lively discussing who is guilty, while trams cannot move on, as well as all other traffic also stopped. Normal operation would be restored twenty minutes later. 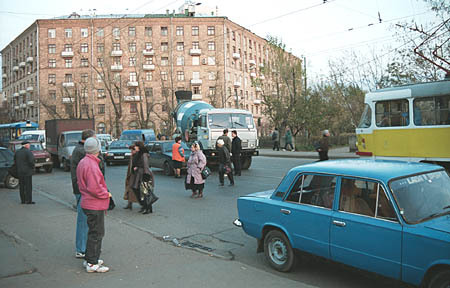 The central part of Schmidtovskiy Proyezd shows a number of pieces of constructivism style of 1920's. A general view of Schmidtovskiy Proyezd from a hill. 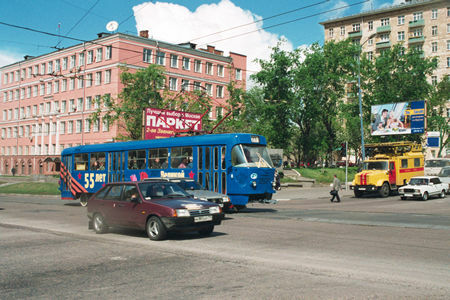 The crossroad of Schmidtovskiy Proezd and 1905 Goda Street. 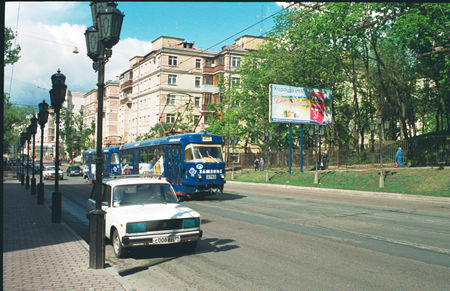 The yellow-red truck is a special one for overhead wires maintenance.